Like the other 300 plus communities that Kevin Smith Transportation Group services, Birdsboro, PA appreciates the engagement that only a local company can deliver, With operations based across southeastern PA including Berks, Bucks, Chester, Delaware and Montgomery Counties and the entire Philadelphia, PA area, KSTG is the obvious choice for every person and business in Birdsboro, PA.
For individuals and companies based in Birdsboro, PA who have a need for either Leisure or Corporate Transportation services, Kevin Smith Transportation Group is the only solution you need. KSTG’s Leisure division will often be seen sending out a Wedding Limo or Call on most weekends. Wedding Shuttles can be seen every weekend in Birdsboro, PA, moving everybody from Bridal Parties to Wedding Guests, making sure everybody can celebrate safely without the worry of figuring out how they will get back to the hotel safely. If a Party Bus rental is on your list, let KSTG arrange the perfect vehicle. Looking for something more elegant like a Stretch Limo and have KSTG send one of our Luxury Limos to Birdsboro, PA and pick you up. Ideas may arrange for that landmark birthday celebration to simply a bar crawl with a group of life-long friends. Whatever the need, if your night is starting or ending in Birdsboro, PA, let Kevin Smith Transportation Group deliver you in style. Almost every business in Birdsboro, PA will eventually have a need for professional Corporate Transportation services. It may be a one-time request for that VIP client to daily shuttle services moving employees back and forth from a regional rail station. Whatever the need, Kevin Smith Transportation Group’s fleet of Black Vehicles from Yukons to Cadillac’s are the perfect choice for those focused on Luxury and Quality. Airport Transportation is a common service request with Philadelphia International Airport (PHL) located so close to Birdsboro, PA. With more than a dozen International Airports in the Mid-Atlantic area, many companies will utilize KSTG’s services for Airport Transportation to places like Newark international (EWR), Kennedy Airport (JFK) and other airports north and south of the Birdsboro, PA area. Other that Kevin Smith Transportation Group offers companies in Birdsboro, PA include Shuttle Services. 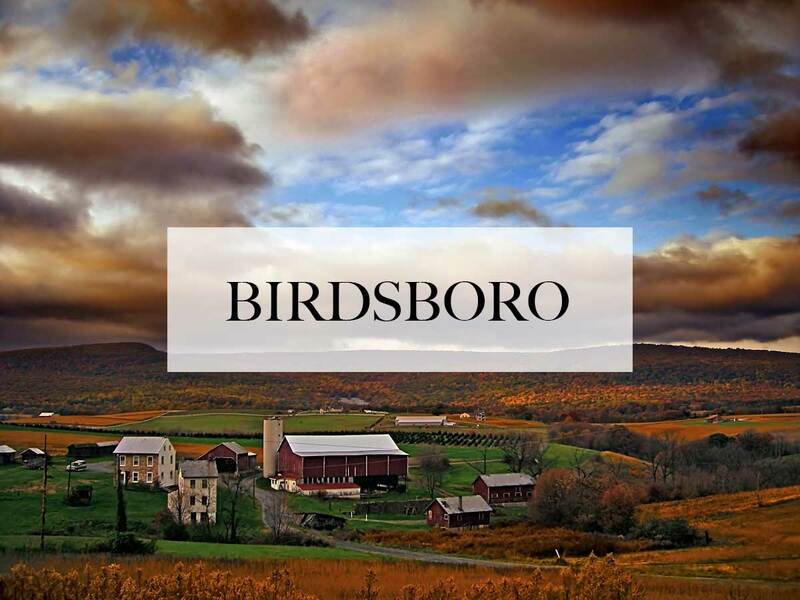 What makes companies great in Birdsboro, PA is their ability to recruit the best talent. That often means recruiting in non-traditional markets. With KSTG’s Shuttle Services, many companies today have expanded their target markets to locations up and down SEPTA’s regional rail lines, providing employees with an easier commute. After a long day at work, getting a chance to relax in the back of a KSTG shuttle and being dropped off at the rail station for a traffic-free commute home is setting apart those companies in Birdsboro, PA who are leveraging this employee perk. In addition, many companies in Birdsboro, PA have employees or clients who will be traveling from outside the region. Whether it is Philadelphia International Airport or a local FBO like Wings Field, Northeast Regional Airport or Doylestown Airport, KSTG has a fleet of Luxury Cadillac XTS’s and Black Yukon’s to make sure your visitors are delivered on time and safely. Most companies in Birdsboro, PA have begun to institute strict Duty of Care requirements around ground transportation, not allowing their employees to use any unregulated apps. This means that a company like Kevin Smith Transportation Group, with a highly skilled, licensed and screened staff of chauffeurs, becomes the perfect option for any company in Birdsboro, PA who wants to offer their employees a safe and reliable transportation option. Black Car service is more than just a late model black vehicle. It is about providing a custom chauffeured experience where safety and luxury don’t have to be sacrificed. Birdsboro, PA has been a key contributor to the success of Kevin Smith Transportation Group. An award winning company since its inception, KSTG delivers daily to both individuals and companies across Birdsboro, PA. So whether it is that once in a lifetime event that needs to be perfect or just a routine trip to the airport, let KSTG be your total ground transportation solution. Today, KSTG is Birdsboro, PA’s #1 Transportation Company and as we continue to grow, the entire team at KSTG is excited to see where that success will take us. So for those who use us regularly or just once a year, thank you for making KSTG the company it is today. Birdsboro, PA is a borough in Berks County, PA. Located along the Schuylkill River, it is 8 miles southeast of Reading. The population is estimated at 5,163. In the past, Birdsboro, PA was noted for its large foundries and machine shops, none of which remain in operation today. Birdsboro, PA was named for iron maker William Bird, who established a forge on Hay Creek about 1740. His son Marcus founded Hopewell Furnace in 1771, which was the largest domestic producer of iron by the time of the American Revolution. The Schuylkill Canal, running parallel to the river, was completed in 1827. The Philadelphia and Reading Railroad, constructed to haul anthracite coal, was completed in 1843. Edward and George Brooke, descendants of the Birds, established the Birdsboro Iron Foundry Company (1867), which became Birdsboro Steel Company (1905). The principal employer for 120 years, the steel plant closed in 1988, following a lengthy strike. The borough was created in 1872, from sections of Union and Robeson townships. Its population increased slowly from 2,261 in 1890, to 2,264 in 1900, to 2,930 in 1910. The population was 5,064 at the 2000 census. Armorcast Corporation built a plant in the borough in 1944, which manufactured tanks for World War II and the Korean War. The plant closed in 1988. Suburban housing developments such as Mansion Heights, built on the hills overlooking the valley in the 1980s and 1990s, increased the borough’s population markedly. Still, the local Episcopal church closed in 2002, and the Roman Catholic parish built a new church and school outside the borough, in Douglassville, in 2005. In 1987, torrential rains over a period of several days caused Hay Creek to flood parts of Pennsylvania Route 82, which ran through the borough at the time, and damaged the five bridges between Rock Hollow Road and Douglas Street. The bridge upstream from Douglas Street was repaired. However, after many years of discussion between local and state officials, the decision was finally made in 2004 that the remaining upstream bridges should not be rebuilt. For years, the area had been used as an informal walking trail. The former road connecting Birdsboro to Scarlet’s Mill is now used formally as a nature trail. In December 2008, the PA 82 designation was removed from this stretch of road. This area is now part of Hopewell Big Woods, which allows public access for hiking, fishing, hunting and other outdoor activities. St. Michael’s Protestant Episcopal Church, Parish House and Rectory was listed on the National Register of Historic Places in 1982. St. Michael’s Episcopal Church, Parish House and Rectory is a group of architecturally-significant religious buildings located at 200-216 North Mill Street in Birdsboro, Berks County, Pennsylvania. It was added to the U.S. National Register of Historic Places in 1982. Prior to the 2003 removal of its stained-glass windows, pipe organ, and interior furnishings, the building was considered the most unaltered of Victorian architect Frank Furness’s churches. The property was sold in 2005, and is now the New First Baptist Church of Birdsboro.